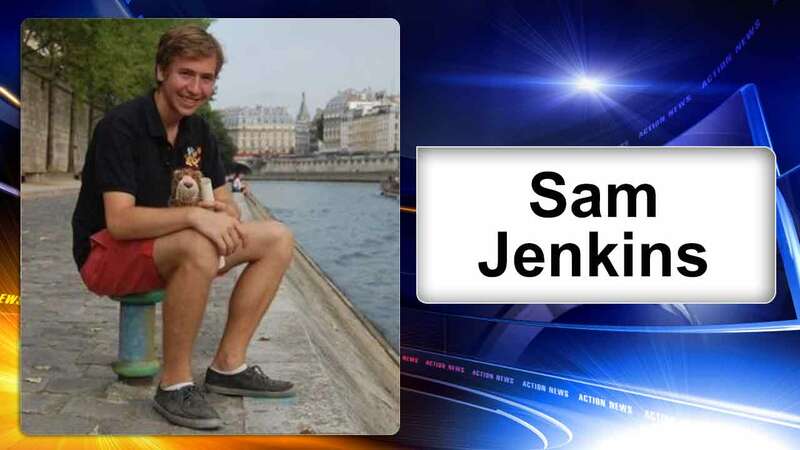 SWARTHMORE, Pa. (WPVI) -- Swarthmore College is mourning the loss of one of their students who was fatally injured in a skateboarding accident. Swarthmore College sophomore Sam Jenkins was injured Friday afternoon on Magill Walk, which leads to the main administration building. In a letter sent to the community, Swarthmore College President Valerie Smith says Jenkins died Sunday. Smith says Jenkins, of Wickford, Rhode Island, was "a creative, joyful, and gentle individual whose infectious enthusiasm and genuine kindness made a lasting impact on our community." The college said Jenkins played hockey, built his own motorcycle, and dreamed of running his own video game development studio. Smith also wrote of Jenkins' humor and his distinct fashion choices, calling them "legendary." "He loved bright colors, wearing shorts or bathing trunks year-round, and full-body onesies," Smith said. In a tribute to Jenkins, the Swarthmore softball team posted a photo of themselves dressed "in that free spirit, colorful way that he lived." Smith said Jenkins was also known for his serious, thoughtful side. "Stories abound of his many quiet acts of kindness and his willingness to help and reassure others," Smith said. According to Smith, gaming was where Jenkins saw his future. She said recently Jenkins attended a game developers conference "and returned feeling confident that he had truly found what he wanted to do in life."